Coconut Cream Pie is a dreamy island dessert with a flaky crust, a coconut filling that is made from scratch, and toasted coconut sprinkles. A delicious variation on this recipe is to top the coconut cream layer with meringue instead of whipped topping. For a quick and easy meringue recipe, see our Lemon Meringue Pie. If you prefer meringue to whipped topping, this works beautifully on the Coconut Cream Pie. You can either use a regular crust or a graham cracker crust for this. It is whatever you prefer really. 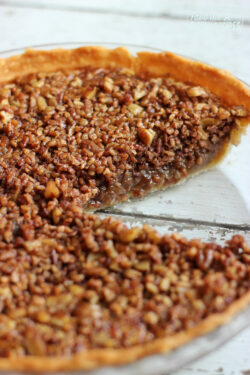 Click HERE for our Perfect Pie Crust recipe and HERE for our Perfect Graham Cracker Crust! Coconut Cream Cake with Coconut Cream Cheese Frosting – A coconut lover’s dream! A coconut cake with a rich and creamy coconut cream cheese frosting, sprinkled with even more toasted coconut. 1 pint whipping cream the kind you have to whip yourself, not the pre-made, frozen stuff! In a medium saucepan, combine half-and-half, coconut milk, eggs, sugar, cornstarch and salt. Bring to a boil over LOW heat (using a double-boiler works best), whisking constantly. When it starts to boil a little bit and thickens up to about the consistency of a thick pudding (this takes about 15-20 minutes so BE PATIENT), remove from heat. Stir in 3/4 cup of the toasted coconut and the coconut (or vanilla) extract. Pour into pie shell and chill for 2 to 4 hours, or until firm. While pie is cooling, whip together topping ingredients with electric beaters. 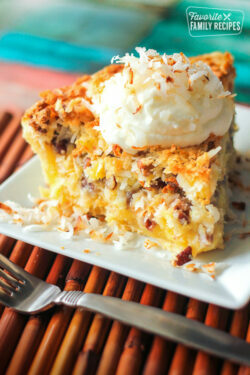 When pie is completely cooled, top with whipped topping and sprinkle on remaining toasted coconut. Preparation time does not include the 2-4 hours of refrigeration time for the pie to set. PLEASE What on earth is half and half? never heard of it! half and half is a mixture of milk and heavy cream. In the U.S. you are able to find it as-is at the grocery store. If you are unable to find it, you can use low-fat whipping cream or regular whipping cream. How much of the whipping cream? This is my dad’s favorite pie. Pinning so I can make this for him! Always loved these pies,now I am making one.BTW I made the perfect pie crust and it doesnt say how long to bake it,so I did 350 and watched it till done.My 1st time never turns out right.We shall see!!! Did you use sweetened coconut milk? Yes. I think so. I usually just get what is standard on the shelf. I have used “lite” and that tastes fine too! So I made this for a special weekend desert. After some tribulations due to operator error, it was wounderful. We all loved it! 1.) I did not get sweetened coconut milk, was unsweetened. It was fine. 2.) Be sure to cook it on the stove until it gets pudding thick. I had cooked it for 20 min, not hot enough, and it was runny. I assembled and refrigerated over night. I had to pour it back into a pan and heat to thicken. In the end it turned out great. I topped it with the whipping cream and perfection. I will be making this again and bringing it to family events. Thanks. Hi I know this May sound silly but what is half and half? It is in the dairy section near the whipping cream. It is like whipping cream, just much lighter! It’s half milk and half cream. Much less calories than heavy cream. I’ve never made a coconut cream pie before, but this was super easy, and SO, SO good!! Thanks for sharing!! I live in a town where coconut milk is not available. Any sugesstions on how I can modify this recipe, but still have the awesome flavor that coconut milk adds to it? Thanks! hmmm the coconut cream is kind of the ticket to this recipe. I don’t know of any substitutions that would work as well! :S Sorry I’m not much of a help on this one! 🙁 I know you can order it online if it isn’t available in stores near you. Think you would pretty much have to replace the coconut milk with an equal amount of half and half and just use coconut flavoring. Sorry!! 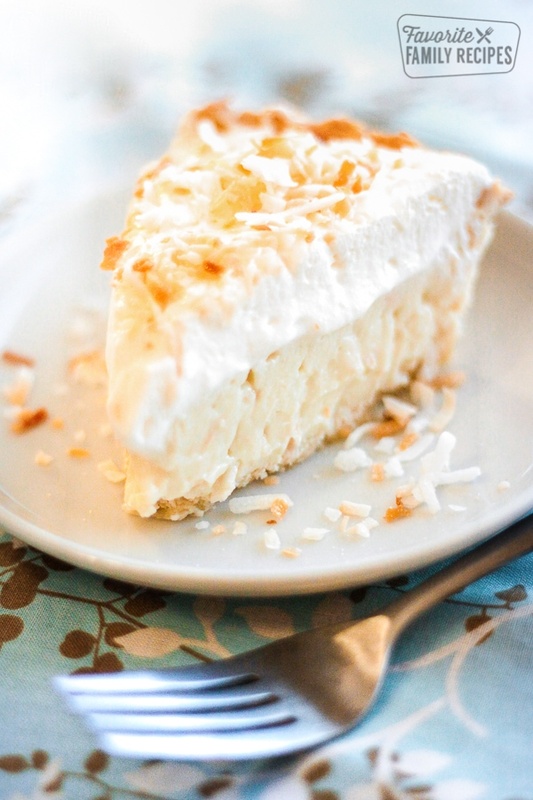 My other coconut cream pie recipe does not call for coconut milk and it still tastes great!! Thanks for posting this recipe. First time I’ve seen one where the eggs are added in before cooking, no tempering required. Also like the natural custard, not the chemical instant pudding. Hi. This post is making me drool. Just wanted know if deccicated coconut would work for this recipe. we have never used deccicated coconut before in this recipe but it would probably be ok. IF you do it, let us know how it turns out! It’s usually sold by cream. It is half cream and half milk. What is half n half….???? It is called ‘half cream’ in the UK, with fat content between 10 and 12 percent. This pie is much better with meringue instead of whip cream! I made this with only one adjustment. When I whipped the cream for the topping I added cut up mini marshmallows, this helps the whipped cream to last longer and set better. The recipe is amazing, thank you so much. Could I double or triple the recipe and freeze it. If so what would be the direction and life in the freezer? I haven’t tried freezing it, but I would say no longer than a month or two, and make sure that it is covered in a freezer bag to prevent freezer burn. One question, do you use sweetened coconut flakes? Best Coconut Cream Pie Ever! I will make this pie forever and ever, thanks! I made this gluten free for my daughter and she loved it. She said it was one of the best desserts she has ever had. What did you do to make it Gluten Free? This pie is by far the most delicious thing I have ever made!! The recipe is perfect!. 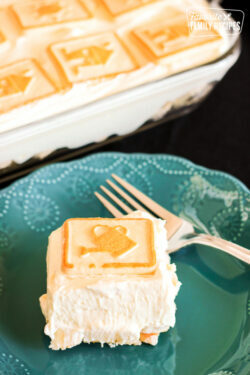 Thanks for sharing, it’s now going to be my most requested dessert! Yay! We love to hear your successes. Thank you! This pie is perfect! Thank goodness my family loved it as well, because I could’ve eaten the whole thing. Thank you for the recipe! So glad you (and your family) liked it! It is definitely one of our favorites around here, too! How many ounces are in a “small” carton of whipping cream? Looks like a wonderful recipe, am anxious to give it a try. Thank you. You will want to use the pint size of whipping cream. where can I find coconut milk in a can? And is there a difference of the coconut milk in can and coconut milk that you can buy in milk section at walmart in cardboard container? The coconut milk in a can is usually next to the ethnic foods in the grocery store. I find it in the same section as the soy sauce, sweet chili sauce, etc. I’ve never used the coconut milk that is refrigerated, so I’m not sure. I always use the can. Thank you for asking! Haha! The dangers of leftover dessert! Have you ever topped this pie with actual meringue that you have to bake afterwards? I haven’t – but, I bet it would work well. I topped it with a double merinque and sprinkled it with toasted coconut, baked it 15-20 min until golden- delicious! What size of pie pan did you use for this recipe? Just your typical 9″ pie plate, hope this helps! 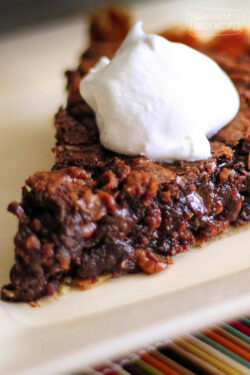 This is a great recipe but I wanted to make it with less fat and sugar; I am Diabetic. I substituted milk with 1 – 12 oz. can of Fat Free Evaporated Milk; used 1 – 13.5 oz can of Lite Coconut Milk; exchanged sugar for 1/2 cup Splenda, and poured it all into a homemade graham cracker crust made with Splenda. It came out fabulous. My husband loved it, said it was the best pie ever, I topped his with whipped cream. I love all of your recipes and I can easily adapt them to fit my Diabetic diet. Hands- down the best coconut cream pie I have ever made and tasted! I did top it with a double- meringue instead of the whipped topping and added an additional 1/2 cup toasted coconut to filling and sprinkled a bit on merinque before I baked it- sooooo good! Thank you! Yayy!!!! So glad that you liked it! Thank YOU for coming to our site! Did you put toasted coconut in the pudding mixture? Yes, 3/4 cup of the toasted coconut goes in the pie filling and the remaining is sprinkled on top. Thanks for asking! Be sure to come back and let us know what you think! I was attracted to your site because of the ‘Magic Weight Loss Soup’. I love that the soup can be made with all healthy ingredients!! I paid for & downloaded the accompanying book. As someone who is interested in optimizing my health & being a healthy weight, I am not interested in recipes like your coconut pie— no matter how yummy it might be!! I also don’t want recipes with sugar, mayo, prepared refrigerated biscuits, unhealthy fats & chemicals!! Of course, there are a gazillion people out there who don’t care about putting that stuff in their bodies!! Have you got a section with healthier recipes for those of us who don’t care to insult our bodies?? Again… I was attracted to your site cuz of the incredibly healthy Magic Soup!! Thank you for that recipe!! I’d love to see more healthful recipes from you!! Temptations are all over the place!! Maybe you could help more people by having a section of healthy recipes to choose from!! If you have a section like that, I apologize… but I haven’t been able to find it!! Hi Carol Ann — YES we have a section in our categories called “Light and Tasty” it has all of our lighter recipes! So glad you liked the WLMS and hore you are able to find more light and healthy recipes as you browse our site! Here is a direct link to the light and tasty category: https://www.favfamilyrecipes.com/category/light-and-tasty/ Enjoy! Best Coconut Cream Pie ever. Will make again and again. Hi! The last instruction says to top with “remaining toasted coconut.” Where does the first part of the toasted coconut go in the recipe. I don’t see it mentioned other than at the end. If you could let me know asap, that would be wonderful. Thank you so much! The toasted coconut is added in step 4 of the recipe – it is mixed into the filling just before adding it to the pie shell. Thank you for asking! Hmm I’m not sure either. That has never happened to us before. At what point did you end up with the scrambled egg whites? Trying to pinpoint where it could have happened. can you use rum extract with this pie ? I’m sure you could if you really wanted to! I don’t see why not, other than it will alter the flavor.